In conjunction with the band's upcoming tour of the same name, Sweden's GHOST will release their new EP, Popestar, on Friday, September 16th. 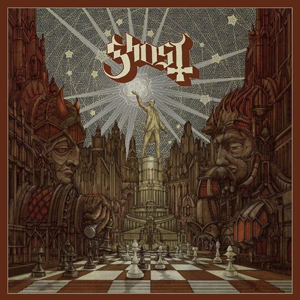 GHOST's Popestar US headlining tour also kicks off this Friday for a 35 city run that includes two shows at The Wiltern in Los Angeles in October. See below for a complete list of dates and for more information on upcoming dates, check out GHOST on the web HERE.